The Vikings finally lost a coach and the details can be read here. Visanthe Shiancoe sounds like he is eager to face the Saints again this season. Our good friend PJD has confused the readers over at the Daily Norseman when he alluded to one of my quotes of the week which I stole from a live chat at Vikings Update. Phew! One blogger is taking the time to look back at predictions made before the 2009 season and see how they panned out. Two years later, it looks like the Vikes got the better end of the trade for Jared Allen. Some people are starting to pick up on my reasoning for why Chester Taylor may be allowed to leave this year. Who doesn’t love some good old fashioned offseason speculation? The Vikings are trying to highlight players who maybe didn’t get the attention they deserved this season. 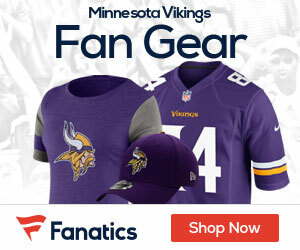 Some fans question the move to acquire Sage Rosenfels last year, and also there is a chnace the Vikings trade up in the upcoming draft. PJD thinks Tarvaris Jackson should be the Vikings starting quarterback in 2010… maybe. At least some fans are interested in Tim Tebow as the next Viking quarterback. A reader-submitted article takes a look at the Vikings’ draft options. I disagree with this article on many levels, but Vikes Geek is smarter than me so give it a click. How sweet of a matchup would it be for the Vikes to open against the Super Bowl Champs. A little defense for Adrian Peterson from a blogger that appears to be calling it quits. That’s too bad. They’re dropping like flies out there! Pretty soon I’ll be the only one left and all Vikings fans will be forced to read what i have to say… poor bastards. Speculation just might be the best part of NFL football. Favre recently wrote a letter of sorts to his fans but gave no indication as to his plans for the future. Want to compete with yours truly? Well, there is an opening for someone who wants to write about the Vikings. Can’t get enough links? Make sure to check out this awesome site every day then. If E.J. Henderson doesn’t play football in 2010, it won’t be for a lack of heart. A list of ten things the Vikes need to do in 2010. There is no doubt that the Vikings have a big hole to fill if Cedric Griffin can’t recover before the first game in 2010. The Vikings improved greatly on special teams in 2009. One of my favorite draft sites around breaks down the Vikings 2010 offseason.